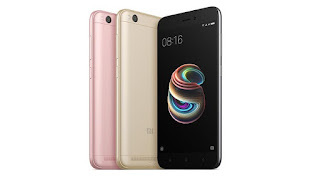 Xiaomi started rolling out MIUI 10 Global Stable ROM for Redmi 5A The new update comes as MIUI 10.1.1.0.NCKMIFI and is 271 MB in size based on Android 7.1 (Nougat). You won’t get tired of natural and ever-changing sounds of the new MIUI. We simplified system sounds and applied smart filters, so you’ll hear something only when you need to. Ambient sounds of the forest, beach, drizzle, stove fire and summer night will help you to relax and focus on what’s important. Other system apps (including Clock and Note) got a major revamp too.